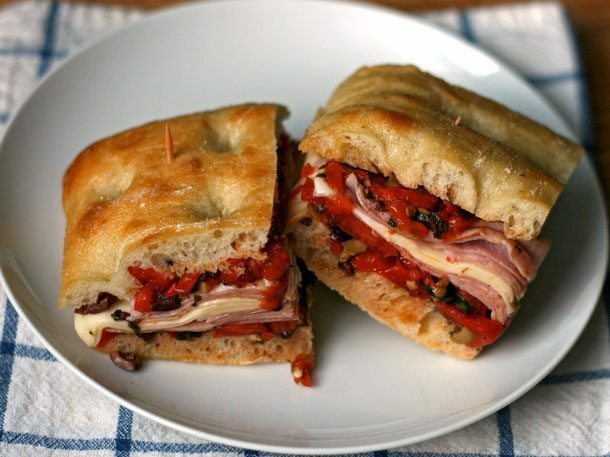 Traditionally served on a 9 inch round, 2-inch thick Italian bread made in New Orleans, especially for the muffuletta sandwich. (Can be substituted for French bread or pistolets). Cut bread in half and lightly coat both sides of bread with Boscoli Italian Olive Salad. Then layer thin slices of Genoa salami, (or hard salami), ham, mortadella (if available) and provolone cheese, approximately a quarter pound of each. Can be enjoyed cold or heat in oven to taste. For an added kick, sprinkle with a little crushed red pepper to taste!